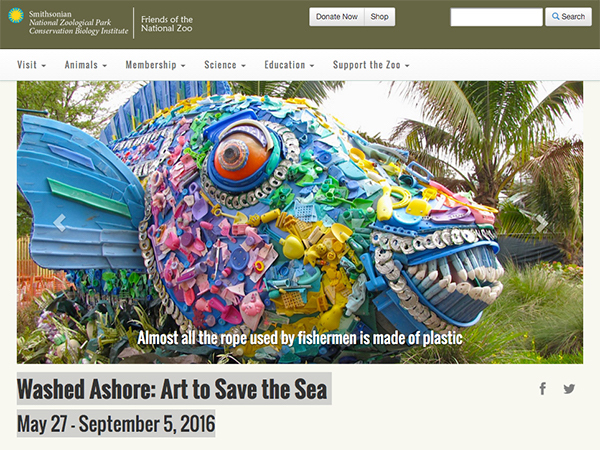 The amazing exhibit Washed Ashore: Art to Save the Sea was featured on the PBS Newshour earlier this week. 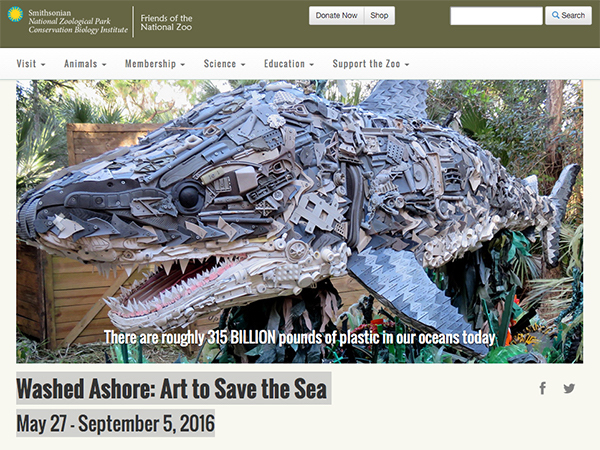 315 billion pounds of plastic ocean pollution has been transformed into art by environmental artist Angela Haseltine Pozzi and the Washed Ashore Project to bring attention to this global issue. 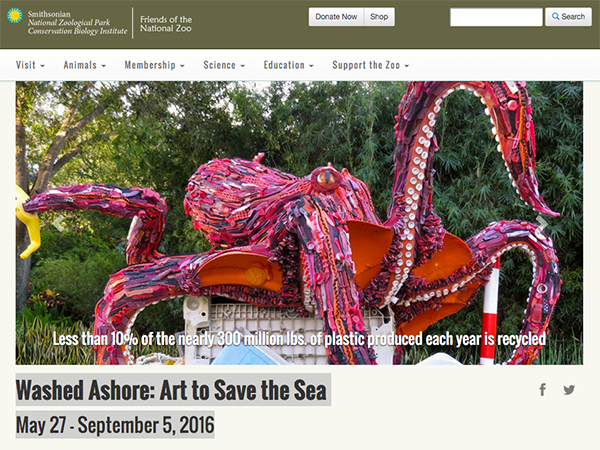 The project is being exhibited at the National Zoo in Washington DC, through September 5th. With all of the fear centered around sharks, it’s shocking to learn that the deadliest predator in the ocean is trash.